Home Unlabelled Unnamed 2-week-old newborn baby was abandoned by her parents because she was born ‘ugly’. 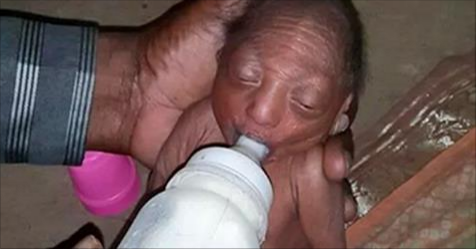 Unnamed 2-week-old newborn baby was abandoned by her parents because she was born ‘ugly’. The arrival of a baby in the family is almost always a joyous occasion. Seeing a little baby and taking care of her is a heartwarming experience, and many adults love a baby’s adorable laugh. 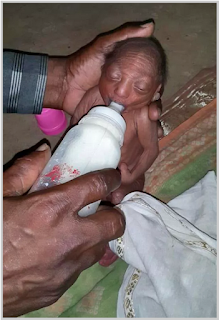 But this couple from Maharashtra, India seemed to be disheartened after seeing their new born baby—because she was ugly. The baby didn’t seem to “meet their expectations” and so they decided to reject her. The only good thing was that her 50-year-old grandfather named Dilpe Dode decided to take care for her ‘rejected granddaughter. The premature baby is believed to be suffering from Intra-Uterine Growth Retardation or IUGR, along with other chromosome abnormalities. Ironically, these illnesses are usually caused by the mother’s care while pregnant. 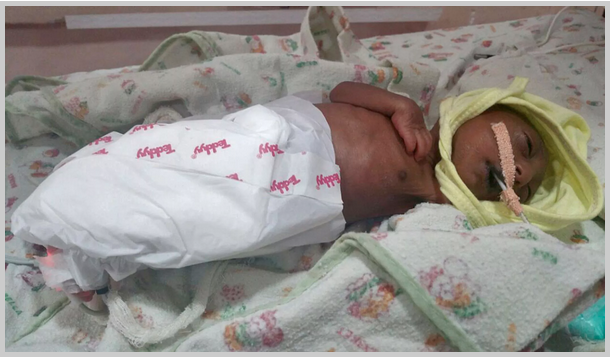 Malnutrition or a problem with the mother’s placenta can result to these abnormalities. 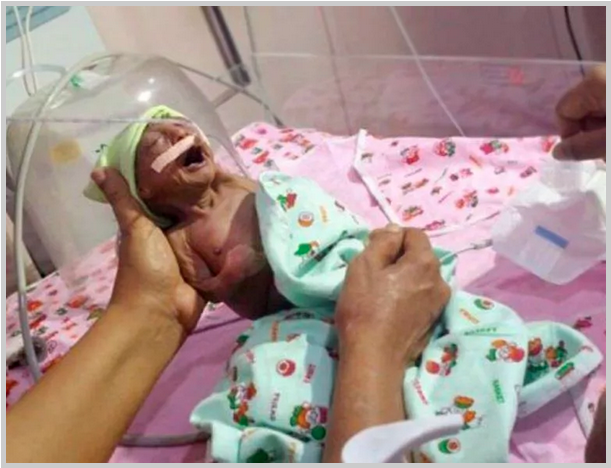 Aside from all the relatives, many villagers ran away in fear after seeing the baby after birth. They were scared because they believe the baby’s disease to be contagious. 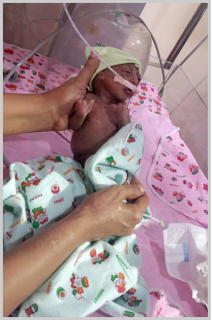 The parents, 25-year-old Mamata Dode and her father 25-year-old Ajay Dode were too embarrassed to face the villagers and relatives and so they decided to reject the baby. The baby’s mother never fed her and never even named her. “I am thankful to the hospital for giving free medical treatment to my granddaughter. It is really disheartening that even her parents have rejected her but I will go to any extent to save her. When the baby was given to us, we were left shocked. But I knew it was not her fault so I started taking care of her. My only hope is that she gets well and lives a normal life. I will try to convince her parents to accept her but if they still refuse, I will raise her up myself. It is not her fault to have born different and I will not throw her for this disease,”says loving grandfather Dilpe Dode. Wadia hospital authoriries have agreed to pay N 1,580,000 bill for the girl’s treatment and even have arranged accommodation for her grandfather.